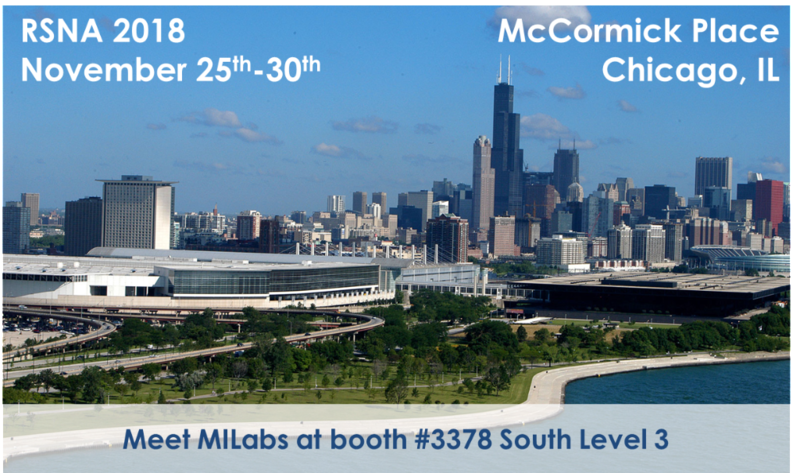 Come and visit us at McCormick Place in Chicago to discover how our state-of-the-art microCT, real-time 3D autoradiography, and multispectral imaging system can expand your clinical applications. Together, we can explore how the unique micro-scale imaging capabilities of MILabs’, multi-modality imaging platform can deliver a ‘stepchange’ improvement in diagnostic imaging of small clinical specimens, with near histological levels of detail. 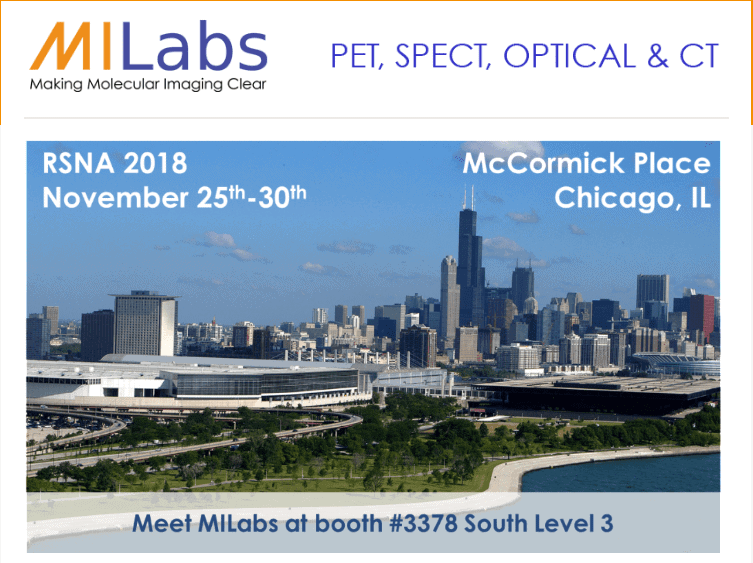 After receiving the recent WMIC 2018 Innovation of the Year award, MILabs’ high-resolution broadband photon tomography PET/SPECT/Optical/CT system sales are thriving worldwide. New systems have been acquired and installed in Israel, India, North America, Australia, and Europe. Pre-clinical researchers appreciate the expansion and high reliability of the high-resolution VECTor6 platform, including its exclusive applications such as simultaneous multi-isotope PET/PET and PET/SPECT imaging, 3D Optical/CT and ultra-high resolution DCE-CT imaging with soft-tissue segmentation.